Draw out the best in your workout getting to know your target heart rate to hammer down the exercise intensity that is fit for you. The right pulse when exercise may help you get in the weight loss zone faster and long for better results from your workout. Target heart rate formula makes it possible to not only find the best heart rate to exercise at to burn fat but may help you find the exercise intensity most suited for you. The fat burning heart rate is the heart rate that your body can burn fat the easiest. Knowing how to calculate target heart rate puts you in the best position for weight loss helping exercise more efficiently. Just by checking your heart rate while you jog, you can stay in the fat burning zone getting the best results out of your aerobic workout all by paying attention to your heart rate. Find your target heart rate. In this healthy Slism, we introduce ways to calculate your heart rate easy while discussing the exercise intensity that you can burn fat the most exercising at. Why do people measure their pulse anyway? Usually it is the case that on a regular checkup, your doctor does it as a rudimentary check. On the other hand, you may just do it for kicks seeing how being startled brings up your heart rate. When you are exercising on a diet one way you know you are exercising at the right pace for weight loss is your Target Heart Rate. By calculating your target heart rate helps you burn more fat exercise with optimal workout intensity. 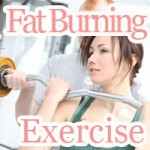 Aerobic exercise compared to anaerobic exercise helps you burn fat. However low intensity aerobic exercise may not be what you want if you are really looking for an effective way to burn fat. Your heart rate and the intensity you exercise at are interrelated. Depending on the exercise intensity you workout with you heart rate may vary drastically. To lower you heart rate bringing down your pulse you needs to slow down your pace. Having too low or too high a pulse can get you booted out of the target heart rate zone. In order to find the optimal workout intensity when carrying out aerobic exercise, you need to attain a firm grasp of the middle ground in exercise intensity finding a target heart rate that is right for you to burn fat more effectively. The optimal workout intensity for the most effective aerobic exercise workout is between 40 and 60 percent your maximum workout intensity. For a point of reference, this intensity of working out can be attained doing activities such as bowling and swimming. Just so you know exercising above or below this degree of intensity makes it harder to burn fat. Here we are going to show you just how to find the target heart rate fit for your level of exercise to help you understand just the right exercise intensity you should be working out at to burn fat exercising. Calculated your target heart rate using your maximum heart rate (MHR), exercise intensity (INT), and your resting heart rate (RHR) described by the Karvonen Method for calculating target heart rate. Consider the case of a 52 year old woman with a resting heart rate of 70 BPM. MHR = 220 - 52 = 168. That gives us a maximum heart rate of 168 BMP. So if this person wants to workout at 40 percent exercise intensity doing aerobic exercises, she should keep here heart rate at 109 BPM while exercising. 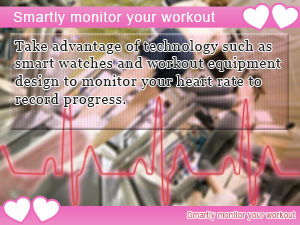 Note that it is preferable to maintain this heart rate throughout the workout for best results. Using the same scenario as above (AGE = 52; RHR = 70) and the fact that her heart rate while exercise when up to 130 beats per minute, we can approximate the exercise intensity of the workout she is doing. Using the second formula in the Karvonen Method we find exercise intensity to be as follows. What this tells us is that the intensity of her workout may be too high. To fix this a lower intensity exercise can be done instead or pace can be slowed down slightly. The method described above can be used to approximate the instantaneous exercise intensity of your workout. It is particularly useful when you are looking for ways to spot check yourself mid exercise to avoid wasted effort working out too hard. Although the Karvonen Method described in this column works fine if you are the kind of person who prefers to do all calculation by hand. Just so you know there are wrist watches and other devices that can be used to measure your heart rate mid exercise. Once you attain a firm grasp on exercise intensity, you will be reaching your target heart rate in no time guaranteed. Matching your inclination to exercise with the workout intensity that fits your needs is the best approach to exercising for weight loss helping your burn more fat. After reaching your target heart rate, you should be feeling in the zone. That is to say if you keep it up you can get all the benefits that exercising in the fat burning zone gives you if you do it right. Reaching a heart rate to burn fat is important but there are other benefits to exercising at the right workout intensity such as lifelong health. Find out and try to reach your target heart rate the next time you go out exercising. Conditioning that helps you lose weight starts by toning in your body at the same frequency as your target heart rate allowing you to burn more fat. In order to push your body into the fat burning zone it's going to take half the effort of your maximum heart rate. Take advantage of technology such as smart watches and workout equipment design to monitor your heart rate to record progress.